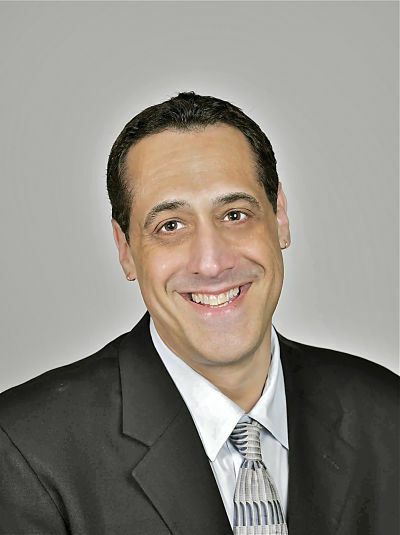 Stuart Milk is a prominent American civil rights and LGBT activist, nephew of the late Harvey Milk and founder and President of the Harvey Milk Foundation. As a broadcaster, speaker, writer and campaigner, Stuart works alongside LGBT and civil rights organisations around the world. On behalf of his uncle, he recently accepted the highest US civilian honour, the Medal of Freedom, from President Barack Obama. Welcome to American in Britain Magazine. We understand you visit the UK often - what brings you here this time? I’ve been here for LGBT History Month 2017 - The Milk Foundation partners with Schools Out UK for this annual event, which I think is really the best in the world, with dozens of events, hundreds of participants and 15 different hubs around the country. What have you most looked forward to on this visit? One highlight I always look forward to, wherever I go, is visiting schools and speaking to kids. I believe that’s where everything starts and that’s where our future is. I love their responses. In the UK in particular I see what I call “the equality generation”. They’ve known nothing other than equality as a right. And that’s wonderful. But it’s important to teach them about some of the struggles too. History, as President Obama would say, doesn’t move in a straight line, so we need to know history to see a path for the future, both in the bright days and in the dark days. For example, what happened with the assassination of my uncle Harvey was very dark, but what has eventually resulted is very bright. Your Uncle Harvey clearly had a huge influence on you and many others. Why? Well, you know, I’m LGBT myself, and my uncle was my touchstone to my own authenticity. When I was young, I hated the fact I was LGBT because of the environment at that time. It was illegal, it was seen as mental illness, there were no gay characters in movies or TV. But I could talk to my uncle about anything. When I was around 12, he gave me a book called Seven Arrows, about American Indian traditions, and he wrote in it, “You, with all your differences, are the medicine that will heal the world even when the world doesn’t recognise that.” That became my life compass and still is. Please share with our readers an inspirational moment in your own life. The year after Harvey was killed, 1979, I was at university in Washington DC. I had just come out. I was asked to speak there at the first memorial event. When I showed up, there were a handful of people for the memorial, and around 300 hundred religious protesters from the AME, an Afro-American evangelical church. It was really shocking for me. Suddenly, this very large black woman grabbed my hand and said, “You’re the nephew, aren’t you?” I guess even then I looked similar to Harvey. I thought I was going to get a dressing down. Instead, she turned to me and said, “My name is Dr Maya Angelou.” She grabbed my hand, faced the crowd of protesters and belted out: “I am gay. I am lesbian. I am black. I am white. I am Christian. I am Jew. I am Native American. I am human!” And she just stared at them. She was not so well known then, and at first I had not known who she was. But they knew, and they were very excited. They put down their protest signs, left them right there, turned around and got back on their buses. And we went ahead with our memorial service. It was such a vivid moment. You’ve been here to promote LGBT History Month and that’s clearly very focused. When you have a completely free day off for yourself, how do you like to spend it? I love coming to the UK. I enjoy going to brilliant free museums like the British Museum: I love being able to see the world in one building. I like walking here. Often I get lost because some of the streets don’t make sense. But sometimes I like that. I’ll always walk if I can, although as an American, I really appreciate the signs saying ‘Look Left’ or ‘Look Right’, because I always seem to look the wrong way! I love all the open spaces, even when it’s cold out, where people are interacting, people are connecting. London’s Hyde Park is one of my favourites. And this is the best place in the world to get a haircut! Ted Baker, for instance, has great walk-in grooming salons. We don’t have anything like that in the US. Some say these are particularly challenging times. But the abiding spirit of your uncle was positive. What would he have said? My uncle would say “you can’t live on hope alone but you can’t live without it”. We may have dark times coming around the world, including places we didn’t expect to see it. But we have some light too. For instance, due to social media, hope can spread easily across boundaries on a global scale far easier than in my uncle’s day, so rays of light can reach into dark places. Here at American in Britain we like to promote international relations.Tell us who you’d invite to your fantasy cross-country dinner party, living or from the past. There are lots of people I’d like to have. Uncle Harvey, of course, along with Maya Angelou, Nina Simone and Queen Elizabeth I. I’d also invite Nobel Prize-winning writers, Juan Ramon Jimenez and Octavio Paz, and two inspirational young rights activists I’ve known, Hungarian Milán Rózsa and Cesar Parra from Peru. I can really relate to people who bring forth a world vision that’s open, inspiring and collective, even during casual conversation. This connects with Harvey’s message: that there’s always a positive to life, that we can change things, that we can take everyday conversations and make them into something important and meaningful. So, this dinner party would have lots of conversation, and perhaps Keith Jarrett playing piano in the background. To eat? A simple spread of fresh bread, cheese and fresh vegetables would be perfect. Stuart Milk has been speaking at LGBT History Month events around the UK; further information at www.milkfoundation.org and www.schools-out.org.uk.